Welcome! The lobby of the Deranged L.A. Crimes theater is open. Grab a bucket of popcorn, some Milk Duds and a Coke and find a seat. 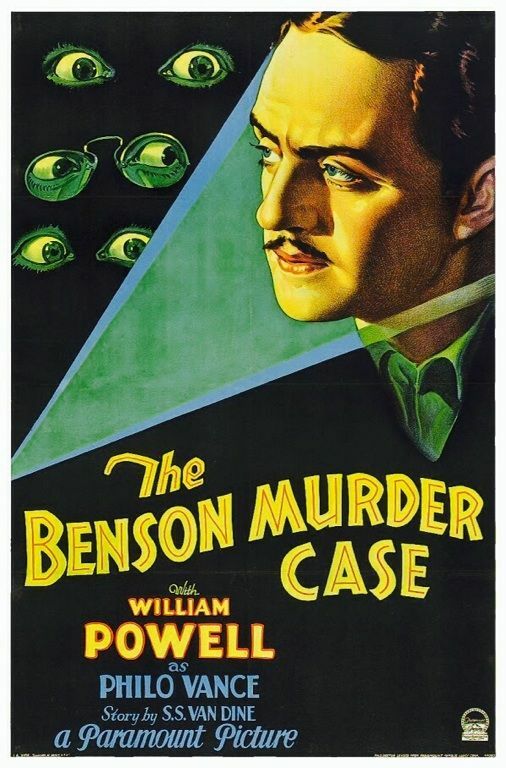 Tonight’s feature is THE BENSON MURDER CASE starring William Powell as Philo Vance. I’m reading at NOIR AT THE BAR at 7 p.m. this Sunday, June 10, 2018. See you there! Thanks to GLOBAL ROAD ENTERTAINMENT, I have four pairs of tickets to give away for the movie HOTEL ARTEMIS. The passes will be good for an advance screening on Tuesday, June 5th at the TCL CHINESE 6 (6925 Hollywood Blvd, Hollywood, CA 90028). Winners will need to arrive by 6:00 pm to pick up their tickets and should proceed directly to the table in the theater lobby — no need to wait in the general admission line. Following the screening you are invited to attend an event at Dave & Busters. 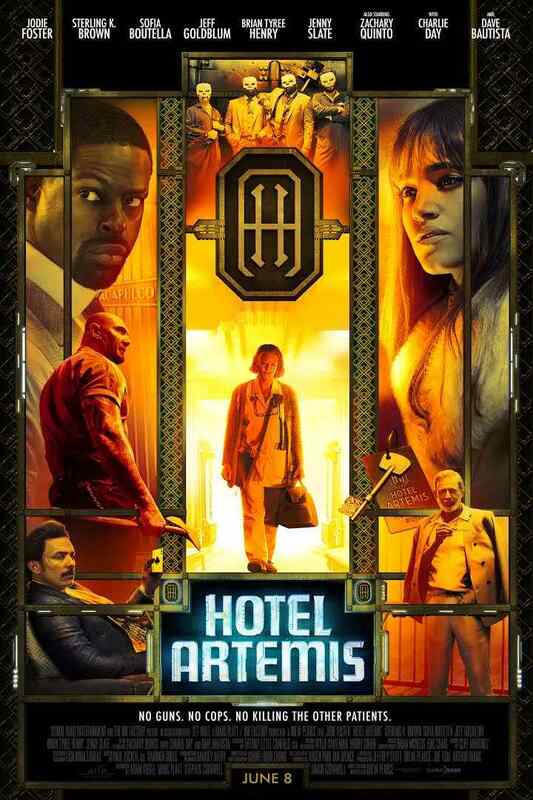 The way to win a pair of tickets is simply to submit your name to jrenner@derangedlacrimes.com and reference “HOTEL ARTEMIS” in the subject line. Submit your information by 6 pm PDT on Sunday, June 3, 2018 for a random drawing. Winners will be announced by NOON on Monday, June 4, 2018. Set in riot-torn, near-future Los Angeles, HOTEL ARTEMIS is an original, high-octane action-thriller starring Jodie Foster as The Nurse, who runs a secret, members-only hospital for criminals. Jodie Foster is joined by an all-star cast that includes Sterling K. Brown, Sofia Boutella, Jeff Goldblum, Bryan Tyree Henry, Jenny Slate, Zachary Quinto, Charlie Day, and Dave Bautista.